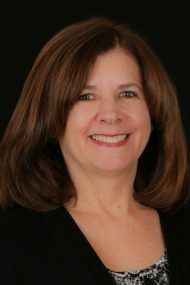 Paula Cadloni specializes in Business Development for Stewart Title in the Sierra Oaks branch of the company. Her travels however take her across the Greater Sacramento area. Having worked at Stewart for 28 years, Paula is a rare commodity in that she has 15 years of escrow experience behind her. It was during the first half of her career when she assisted on both refinance and resale desks in multiple branches for Stewart Title. Her knowledge with respect to escrow has help make her a perfect conduit between sales and the escrow process. By transferring to sales, Paula now has the unique ability to walk into an office of a client and understand exactly what is currently transpiring within a given escrow. She prides herself on helping to be part of the solution to any problems that come up within that period. Paula is a proud mother of one son, a graduate of the University of Arizona.